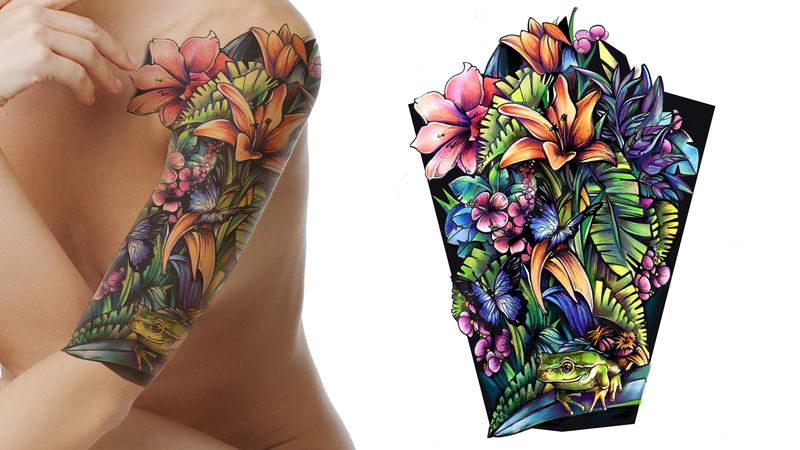 Tattoo sleeves can be visual masterpieces, but they’re also one of the most difficult projects that a tattoo artist can take on. They demand a great deal of communication with your artist, as well as time and financial investment. A sleeve is no small deal; It’s a serious investment and something that you’ll have for life, so you want to take your time and get the highest quality work possible. 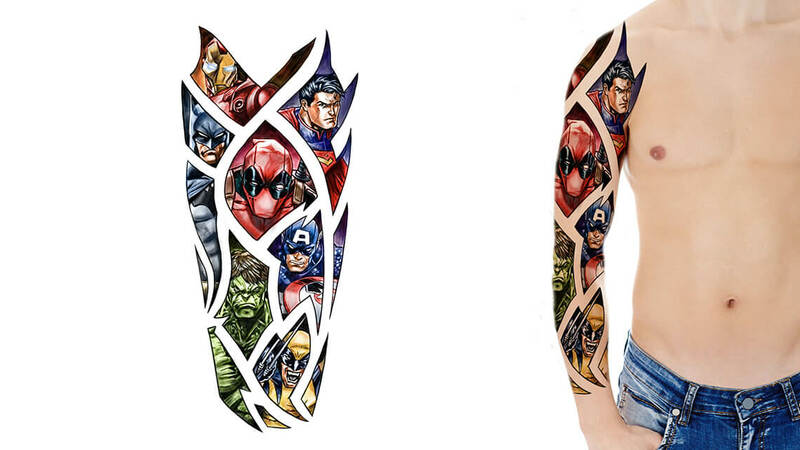 Read on, and learn about factors to consider when choosing a sleeve design! Although sleeves are made up of multiple smaller designs, they should work together as a whole. That means that each of the smaller designs should be thematically connected to every other one. 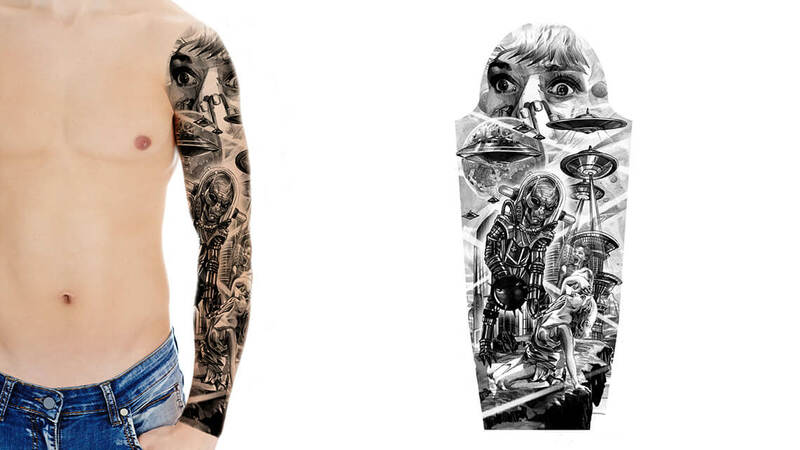 In the tattoo world, designs usually have one of two moods: uplifting or macabre. Uplifting pieces usually include images of nature or spirituality related designs. Macabre pieces typically include skulls and other mortality related designs. 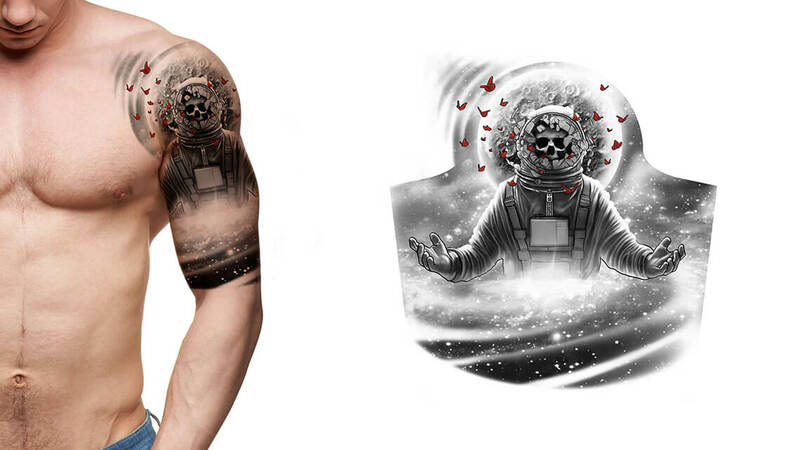 A sleeve tattoo design is something that you’ll be looking at on your skin everyday for the rest of your life, so you want to make sure that it’s personally inspiring. Reflect on what is personally meaningful to you, and base your design on that. There are many tattoo styles out there, from American Traditional to New School. Once you’ve come across a style that you like, stick with it throughout your whole sleeve design. This will keep your design looking cohesive all the way through. 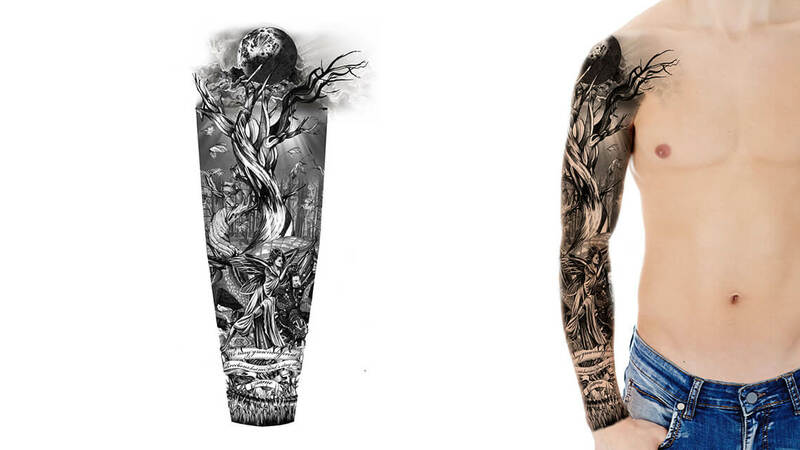 Of the tattoo sleeves, there are quarter length sleeves, half length sleeves, full length sleeves, and leg sleeves. If you have more time and money to spend on your design, you have more freedom to get a larger design. The less time and money you have, the smaller the design you should get. 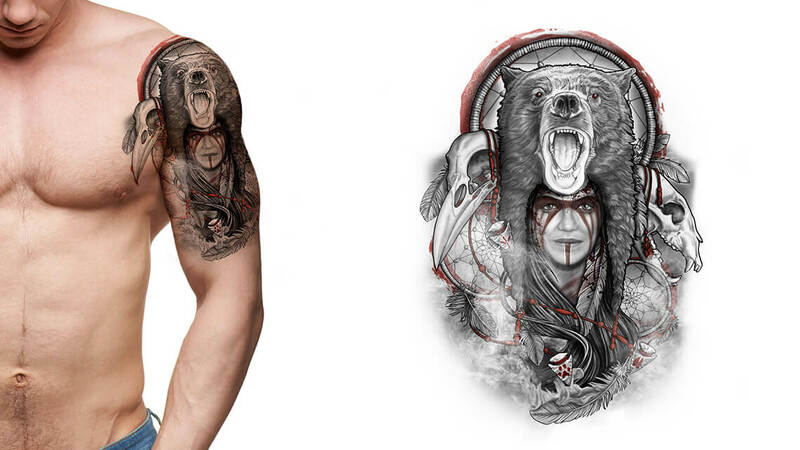 These elaborate tattoo designs can take upwards of 20 hours to complete. The appointments are usually broken up into multiple sessions, averaging around 5 sittings, 4 hours long each. The fact that full sleeves are very time-consuming and demanding might deter some. But, as with anything that’s well done, it takes time to ensure that it’s done properly. 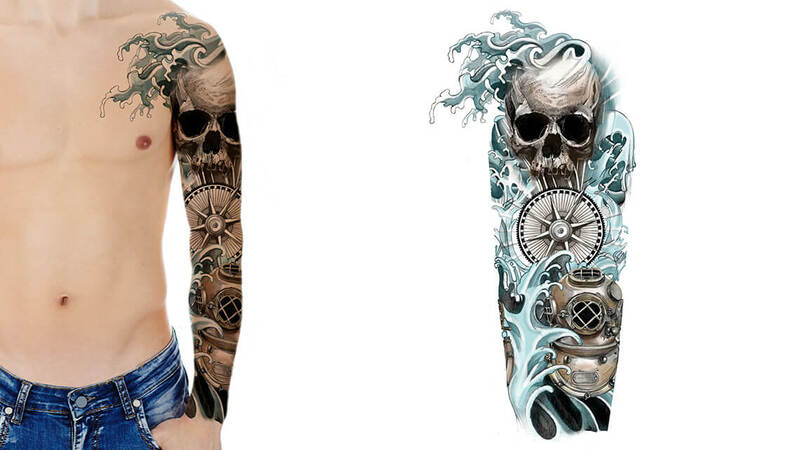 The full sleeve offers the wearer a more cohesive look, covering the whole arm without any abrupt borders. It can be very visually compelling, and you have enough space to include a lot of individual designs. The wrist and the inner elbow area of the skin are sensitive, so having these areas tattooed can be slightly more painful. 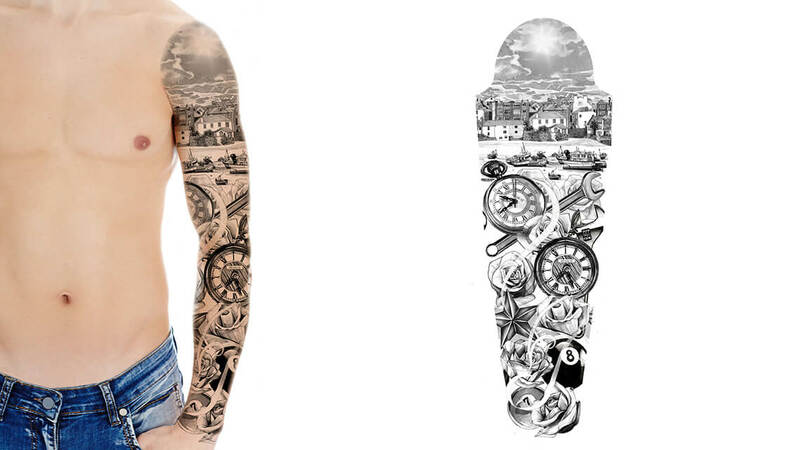 The half sleeve tattoo design is a great middle ground. Since these typically leave your forearm bare, you can easily cover your tattoo designs with a longer short sleeve t-shirt if you ever need to. Also, if you’re unsure about whether you’d like a full sleeve, the half-sleeve allows you to try it out without going all the way. If you want to add to your design later on, there’s nothing stopping you. 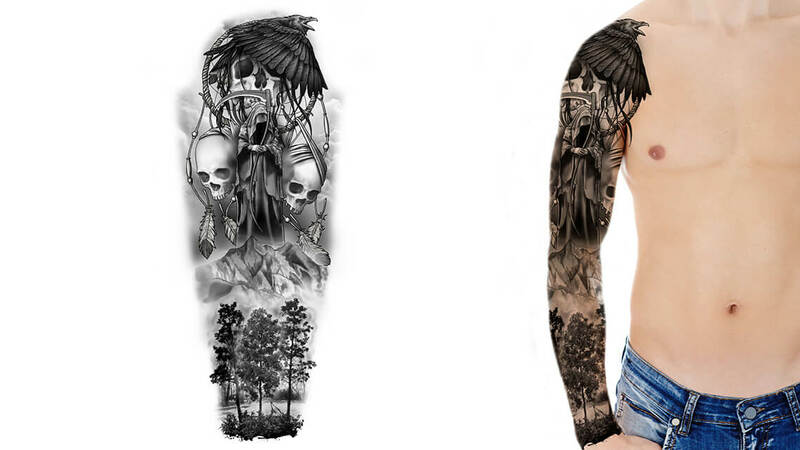 Half sleeves can take upwards of 10 hours, and they’re also usually broken into multiple sessions. Like the full sleeve, they require a higher degree of planning. Quarter sleeves are the easiest to cover up of all the sleeve types. Even if you wear a normal short sleeve t-shirt, you won’t risk it showing. Again, these shortened sleeves allow you to test them out before going all the way in. They require the least amount of planning and appointment time, but they have stricter limits on how many designs can fit in the whole piece. Quarter sleeves cover the most flattering area of the skin, covering the shoulder and sometimes, depending on the design, parts of your chest. They are also the least expensive. Leg sleeves are slightly less common, but no less eye-catching. Since they cover more surface area than full arm sleeves, they generally take longer, require more planning, and cost more.The legs are more often covered than the arms, so leg sleeves are easier to hide, if you ever need to. Since there are less nerve endings in the thighs, getting a leg sleeve is less painful. Also, while getting a leg sleeve done, you won’t have to sit in an unnatural position for any long period of time, making the experience more comfortable overall. Next, you need to decide whether you want color or black and grey. Since your design will cover such a large area, it’s good to think about maintenance over time. Color generally requires more maintenance than simple black designs. 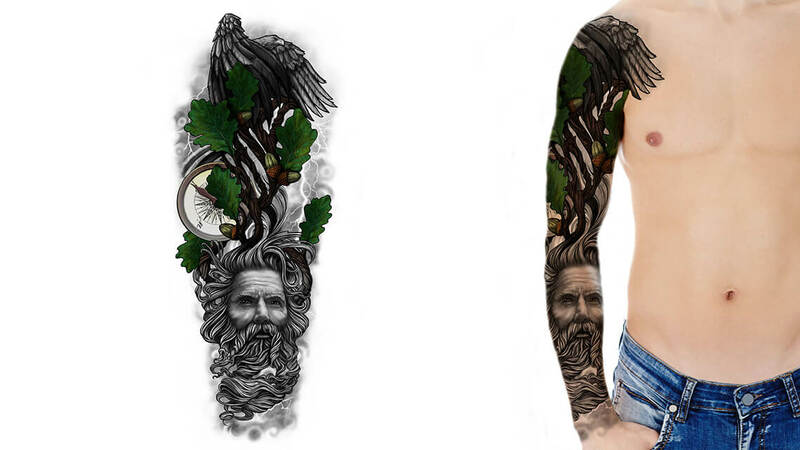 Putting together a tattoo sleeve design is a great creative commitment. 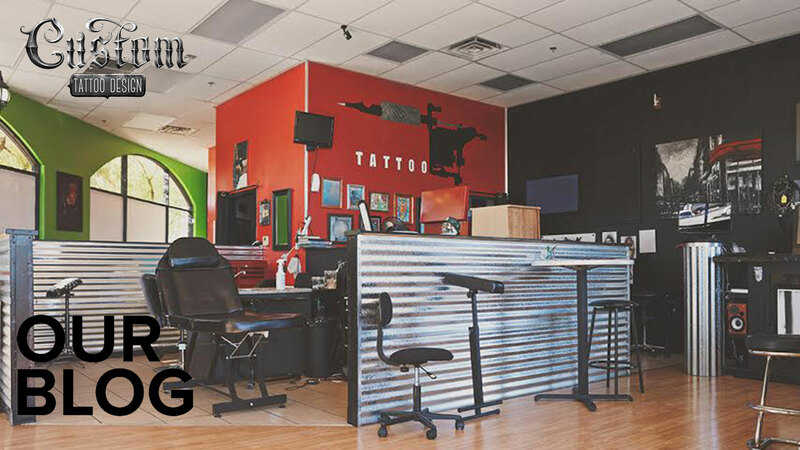 The more planning you do, the better off you’ll be when it comes time to get tattooed. If you know of any other important factors to consider, let us know about them! Send us any reference images you might have! Please be patient after pressing submit, as the form can take up to 30 seconds to verify. Copyright © 2018 Custom Tattoo Design, Inc.